The 2003 Yale University captain, Clarke returned to coach for five seasons on the Bulldog staff. As a senior, she helped lead Yale to the NCAA Tournament and was named IWLCA / US Lacrosse Regional Second Team All-American. She also earned multiple All-Ivy honors during her career. Clarke was selected to the Academic All-American Team her senior year. Clarke is fifth on Yale’s career goals scored list with 114. She joined Madison Youth Lacrosse in 2004 and ran a winter training program for them, as well as coaching girl’s grades 3 - 8 in the spring. Clarke served Head Coach of the Loomis Chaffee Varisty team from 2014 - 2016, was named US Lacrosse Coach of the Year in 2016 & currently volunteers for the women's lacrosse program at Fairfield University. Clarissa Clarke is regional director for the WPLL Futures Program. The program helps develop the youth into future leaders of the sport. Clarke has been on the scene since 2004 and her relationships and connections with college and high school coaches run deep. A 2000 graduate of Princeton University, Laura was named Head Coach at Fairfield University in July of 2015. Before Fairfield, Laura was named the Interim Head Women’s Lacrosse Coach at Yale University in the fall of 2007 and coached for seven seasons at Yale University before joining the Fairfield University Staff in 2008. A three-time All-Ivy pick for the Tigers, Field played in two NCAA final eight games as well as the National Championship her senior year. She also won an Ivy League championship and ranks fourth on Princeton’s overall career saves list. She has worked as a youth coach for Madison girls and coaches throughout the summer at some of the most competitive recruiting camps on the east coast. Nor’easter Lacrosse is the only Connecticut club program directed and coached by college coaches. Only the finest college coaches, college players, and high school coaches work with our members. Coaches with a history of teaching the game at it’s highest level and being able to break the game down for any ambitious, athletic, and talented high school or youth player! Maureen Spellman enters her first season as head coach at Endicott College's, taking over a program that is coming off their 10th Commonwealth Coast Conference (CCC) championship-winning season this past spring. Spellman began her coaching career after graduating in 2012 from the University of New Haven with a Bachelor of Arts degree in psychology. She joined NCAA Division II’s Southern Connecticut State as an assistant coach the following year while also coaching the Nor’easter Lacrosse Club. Spellman took the helm of SCSU’s women’s lacrosse program in the 2013-14 academic year where she oversaw all aspects of team operations including student-athlete recruitment, scheduling, team operations, and academic success. During Spellman’s tenure at SCSU concluded with 16 student-athletes achieving NE-10 Conference Commissioner’s Honor Roll for maintaining at least a 3.0 cumulative GPA. The entire team earned an IWLCA Team Academic Award for the second consecutive season while three individuals were placed on the IWLCA All-Academic Team. Spellman was a four-year goalie and two-time captain New Haven where she holds the program record for career wins (46) and saves (636) as well as numerous single season and individual game highs. Her standout play as a student-athlete from 2009-12 resulted in numerous postseason athletic accolades including three Intercollegiate Women’s Lacrosse Coaches Association (IWLCA) All-North Region Second Team awards. Additionally, Spellman was a three-time Northeast-10 (NE-10) All-Conference honoree where in 2009, as a freshman, she was named NE-10 Conference Goalie of the Year and Rookie of the Year with a First Team All-Conference nod. Betsy Vendel is in her third season with the Southern Connecticut State women's lacrosse program in the 2017-18 academic year and was named as the team's Interim Head Coach in the fall of 2017. She was a four-year member of the squad at Central Connecticut State, a career that was capped by earning the Gail Rutz Award as the school’s Outstanding Female Athlete. She was a three-time All-Conference selection and the Northeast Conference Rookie of the Year as a freshman. Prior, she was a four-year member of the squad at Central Connecticut State, a career that was capped by earning the Gail Rutz Award as the school's Outstanding Female Athlete. A native of CT, Vendel led Newtown High to SWC Championship for four straight years and in 2009 was named Most Valuable Player of SWC Championship Game. She was a two-time All-SWC honoree and twice earned Connecticut Division 1 All-State honors. Vendel was named Connecticut Post Player of the Year in 2009 and left Newtown High with the record for career points. Vendel continued that success at CCSU earning Rookie of the Year honors during her freshman year and following that with Second Team All-NEC honors her sophomore year. She was a three-time All-Conference selection and the Northeast Conference Rookie of the Year as a freshman. Vendel holds the school record for career points at 186 points, the school record for career Assists at 99 and the school record for career draw controls at 174. Anne Murray was named the Associate Head Coach of Fairfield Women’s Lacrosse in July of 2017. Murray most recently coached at her alma mater, Princeton University, where she helped guide the Tigers to an NCAA postseason appearance in each of her five campaigns in New Jersey. Murray has been a member of Chris Sailer's coaching staff since 2013 as the Tigers claimed four Ivy League Regular Season Championships and two Ivy League Tournament Championships in that span. Princeton's five NCAA postseason berths from 2013-17 included three trips to the Second Round and two appearances in the National Quarterfinals as the Tigers compiled a total of 64 wins with Murray on the sidelines. Before venturing back to Old Nassau, Murray garnered Division I coaching experience at Mount St. Mary's, Virginia Tech and Rutgers. As a student-athlete at Princeton, Murray took the field for 51 games on attack. The Tigers earned a berth in the NCAA Championship in all four of those seasons, highlighted by three appearances in the National Quarterfinals. Murray earned a bachelor's degree in history from Princeton in 2009. Murray joins a Fairfield squad that went 12-6 overall in 2017 – the ninth time in the past 10 campaigns that the Stags tallied 10 or more wins. The Stags posted a 7-1 MAAC record and advanced to their eighth MAAC Championship Game. Fairfield is slated to return seven starters and 23 total student-athletes for the upcoming 2018 season. Megan Cersosimo was a four-year letter winner for the University of Connecticut. She was named All-BIG EAST second team as a senior and to the North Regional All-American Team and she won the UConn Club Award for Outstanding Senior Athlete in 2001. Megan was a captain in her junior and seniors years and left as the school career record holder in games started, ground balls and draw controls. Cersosimo was a 4 year letter winner in soccer and lacrosse at Great Valley HS in Malvern, PA. Her extensive coaching experience includes being an assistant Coach at UCONN from 2001 to 2006, the head coach at UCONN from 2006 to 2008 after which she became, and remains, the head coach at Conard High School. Megan was named the Class L Coach of the Year in 2015 and US Lacrosse Coach of the Year in 2017. Megan Murphy Borman began coaching the Loomis Chaffee varsity girls lacrosse team in the spring of 2015. In Megan’s first season at the helm, the team won the Founders League and the Western New England championships. In 2016, the team had a perfect season with a record of 17-0, and Megan and co-coach Clarissa Clarke were named 2016 U.S. Lacrosse Connecticut High School Lacrosse Coach of the Year. Megan spent four years as the head coach of the Weston (Conn.) High School girls lacrosse program. Over her tenure at Weston, Megan coached the team to two Class S State Championships (2011, 2013) and the best season in program history in 2013 (21-1). Megan also was named 2011 Class S Coach of the Year and 2013 CT Post’s All-Region Girls Lacrosse Coach of the Year. Megan graduated in 2003 from Gettysburg College with a degree in history. She was a member of the Gettysburg women’s lacrosse team and was named a two-time IWLCA National All-American, three-time Regional All-American, three-time All-Conference player, Conference Player of the Year, and Offensive Player of the Year by Inside Lacrosse Magazine. Megan was inducted into Hall of Athletic Honor for Women’s Lacrosse in 2014 at Gettysburg College. Emily Knapp joins the Wesleyan University Cardinals for the 2017 - 2018 season. Knapp joins the Cardinals after graduating from the University of Colorado in May. She was a four-year member for the Buffaloes, playing attack and midfield at the Division I level. The 2014 campaign – Knapp's first with the Buffaloes – was the inaugural season for the Colorado women's lacrosse program as it finished 11-8 overall. The team posted a winning record in each of its first four seasons, which was capped off by a NCAA Tournament appearance this past spring as the Buffaloes finished 16-4 overall. Knapp – a New Jersey native – appeared in four games each season, and registered four goals and one assist for five career points. Kevin Siedlicki is in his second year as an assistant coach with the Southern Connecticut State women's lacrosse program in 2017-18. Siedlecki has been the head coach of Daniel Hand High School since 2009, where he has compiled a record of 103-41. Before that, he was assistant coach at Bethlehem Central, in New York. n seven seasons, he has led the Tigers to five SCC regular-season championships and three SCC tournament championships. Under Siedlecki, the Tigers have been to the Class M State Championship game twice. He was named New Haven Register Coach of the Year in 2011, and Southern Connecticut Conference Coach of the Year and CIAC Class M Coach of the Year in 2015, after the Tigers accomplished the best record in program history at 20-2. From the Daniel Hand program, athletes have gone on to play at all levels of collegiate lacrosse, from startup club programs to highly competitive Division I schools. Kevin is also an English teacher at Daniel Hand High School, where he graduated in 2002. He holds two bachelor's degrees from Union College, one in English and one in Music, and an MS in English from Southern Connecticut State. Dan Warburton has been the head coach at Cheshire High School since 2002. During his time at Cheshire, he has compiled a record of 202-76-3. In fourteen seasons, Warburton has led the Rams to seven SCC regular season championships and six SCC tournament championships. In 2012, Warburton led Cheshire to a 20-3 record and the Class L State Championship game. The Rams have also made three Class L Semi-Final games during his tenure. Warburton was named Connecticut Class L Coach of the Year in 2011 and New Haven Register Coach of the Year in 2004 and 2012. Cheshire lacrosse players are well represented in the collegiate game, playing at many levels. Former players have been recognized as captains of their collegiate teams, and been honored with awards such as conference rookie of the year and collegiate All-American. Dan Warburton has been a teacher in the Technology Education department at Cheshire High School for the past 16 years. He holds a Bachelor's and Master's degree in Technology Education, as well as a second Master's degree in Educational Technology from Central Connecticut State University. Warburton also has a 6th-Year degree in Educational Leadership from Sacred Heart University. Jordan Christopher is in her third season as an assistant coach at Quinnipiac in 2017. Christopher previously served as an assistant for Kotowicz at Central Connecticut State University from 2014 through the 2016 season. Christopher was part of the CCSU coaching staff that developed two All-Northeast Conference First Team and five All-NEC Second Team selections, as well as two All-Rookie Team honorees from 2014 through 2016. Under Christopher’s guidance, CCSU featured 13 NEC Spring Academic Honor Roll members as well as eight Travelers Athletic Directors All-Academic Team selections. In addition to posting the highest cumulative grade-point average in program history, the Blue Devils were also named a IWLCA Division I Academic Honor Squad in 2015 and 2016. In addition to her role at Central Connecticut State, Christopher also served as the head coach with the Philly Blast Lacrosse Club team from 2012 to 2014 and the Nor’easter Lacrosse Club team from 2014 to the present. A four-year letter winner at UConn, Christopher was a two-time captain in 2013 and 2014. A BIG EAST All-Academic selection, she also served on the Women’s Lacrosse Leadership Council in 2011 and 2012. In 2013, she was also part of the first team in UConn women’s lacrosse history to advance to the NCAA Tournament. Emily Anderson is welcomed to Hamden Hall Country Day School as Head Coach of the women's lacrosse program. Prior, Anderson, midfielder with the UConn Women’s Lacrosse Program appeared in all 16 games as a freshman. Additionally, Anderson led all freshmen with eight points on seven goals and one assist to go with 20 draw controls. She notched three goals against No. 18 Boston College (March 2) and tallied two goals and three draw controls against Sacred Heart (March 16). Prior to UConn, she earned an Honorable Mention All-American by U.S. Lacrosse, she was tabbed All-State three times in her high school career. Anderson was named First Team All-Conference, team MVP and New Haven Register All-Area three times. She finished her career as the school record holder with 245 goals and being named Academic All-American, she led her senior squad to an undefeated conference championship. Anderson graduated in the top-10 in her high school class and was a member of the National Honor Society. Danielle Tammaro currently serves as Head Coach of the Pomperaug women's lacrosse program. In 2017, she guided the Pomperaug program to earning the runner-up position in the Class M division. A 2010 graduate from Southern Connecticut State University with a degree in Exercise Science, Tammaro was a four year starter on the women's Lacrosse team. During her career as a Owl, she lead the team in ground ball pick ups as well as caused turnovers. She was honored with student-athlete achievement awards for three consecutive years and served as team captain her senior year. Upon graduation, in 2010, Tammaro began working as a Physical Education teacher within Region 15 Schools and earned an M.S. in Human Nutrition from the University of New Haven. Tammaro, a 2006 graduate from Cheshire High School, has gained coaching experience by working with Daniel Hand High School and various camps and clinics across the state. 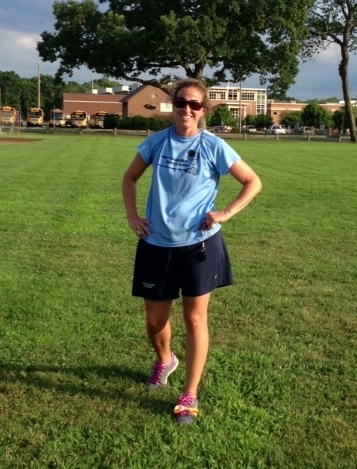 Tammaro is entering her first year as the head girls' lacrosse coach at Pomperaug High School. Courtney DeStefano, 2009 graduate of Skidmore College in Saratoga Springs, NY. DeStefano was a four-year member of the varsity women’s team and a three year starting goalkeeper for the Thoroughbreds. DeStefano won Liberty-League All-Academic honors in each of her four years at Skidmore and participated in the Liberty League semi-final championship as a first-year player. DeStefano played four years on the Moses Brown School (Providence, RI) varsity squad, captaining the team as a senior. She earned First Team All-State honors her junior year and Second Team All-State honors as a senior. DeStefano is currently the head coach for the girls varsity lacrosse program at Choate Rosemary Hall in Wallingford, CT.
Taylor, a 2015 graduate of CCSU played 2 years D1 lacrosse at Winthrop University in South Carolina in the Big South conference and 1 season at CCSU. Her senior year she studied abroad in Africa, Australia and New Zealand. Taylor graduated from Glastonbury High in 2011, a 4 year varsity field hockey starter, 2 year captain and State Championship team member. She played 4 years varsity lacrosse, was a captain, all conference, first team all state and one of Hartford Courant's top attackers. She was a varsity assistant coach for GHS in 2014, the team made the state championship. She has coached at various camps and this is her 3rd year with Nor'easter. Riley Smith joins the Wesleyan coaching staff in 2018 after graduating from Fairfield University in May 2017 with a Bachelor of Science in Biology. Smith, a Guilford, Conn. native, played four years for the Stags as a midfielder and appeared in 20 games throughout her career. Smith also has years of coaching experience, in addition to her playing days, and has served as a head coach (goalies and field players) and recruiting coordinator for the Nor'easter Premier Lacrosse Club in New Haven, Conn. since 2013. Smith also served as the head junior varsity coach and assistant varsity coach at Saint Josephs High School in Trumbull, Conn. since 2016. Joined the Fairfield University Stags Coaching staff for the 2017/2018 season. A Marist College graduate, class of 2016 from Madison CT. McHugh played midfield in high school and college. She went on to be one of just three players in program history to reach 100 points and 100 draw controls in her career. McHugh, a two time All-MAAC First Team selection, two time All-MAAC All Academic Team selection, and All MAAC Second Team selection. In her career, McHugh ranks seventh in goals, tied for ninth in assists, eighth in points, fourth in draw controls, and third in caused turnovers, and ranks eighth in single-season draw controls. A 2010 graduate of Dartmouth College, Julie was a two-time captain and All-Ivy League First Team selection for the Big Green. A goalie, she earned IWLCA All-American honors in 2010 and played for the U.S. National Team from 2008 to 2010. Prior to Loomis, Wadland was a volunteer assistant coach for Dartmouth while she worked toward her master’s degree. Wadland spent the summer of 2016 playing for the Boston Storm, one of four teams competing in the inaugural season of the semi-professional United Women’s Lacrosse League (UWLX). As a high school student, Wadland was a three-sport captain in soccer, ice hockey, and lacrosse at Phillips Andover Academy. Alexa Foldy played lacrosse at Brookfield high school and was all conference. Foldy played two years of Nor’easter Lacrosse and then played lacrosse at Eastern Connecticut State University, where she started all four years. She’s been coaching the JV lacrosse team for the past three years at Joel Barlow high school. Caitlin O'Brien is a 2017 graduate from the University of New Haven where she played Division II lacrosse all four years and served as a captain her senior season. At UNH, O'Brien was IWLCA third team All-North Region, NE-10 All-Conference second team, and was named to the 2017 DII IWLCA Senior All-Star team representing the North Region. Before New Haven, she graduated from Branford, where she played varsity lacrosse, field hockey, and ice hockey all four years. O'Brien currently coaches at Branford High School as a varsity lacrosse assistant coach. This is her 5th year coaching with Nor'easter, but she has been apart of the program since 6th grade. Carolynn Keal will begin her fourth year coaching with Nor’Easter this summer. After playing for the club throughout high school she wanted to continue to be apart of such an amazing program. She has recently graduated from Southern Connecticut State University with a Bachelors of Science in Biology with a concentration in Secondary Education. While at SCSU she was a four year starter and two year captain. In addition she set the career high for assists, ground balls and caused turnovers. During her freshman year she was selected as a member of the Northeast 10 All Rookie Team. She was a multiple time Northeast 10 Commissioners Honor Roll selection. As a midfielder she can see the field from both an offensive and defensive perspective. Shelby Iapoce is a 2016 graduate of Fairfield University, where she was a four-year starting defender for the Stags. During her career, she helped the Stags win 45 games, which earned them spots in the MAAC Final Four in 2013, 2014, 2015, and 2016, along with 1 Regular Season MAAC Championship in 2014, 1 MAAC Championship in 2015, and 1 NCAA Tournament appearance in 2015. She was named the IWLCA Division 1 Community Awareness Award Winner, and Fairfield University's William Wallin Memorial Award Winner in 2016, for her volunteer efforts, including starting Fairfield's Military Appreciation Day, in which she helped raise $20,000 within the first 3 years of its inception, and for being a member of the Student Athlete Advisory Committee. Iapoce was also named to the All MAAC Rookie Team in 2013, the All MAAC Academic Team in 2014, 2015 and 2016, and the IWLCA Division 1 Academic Honor Roll in 2015 and 2016. She was also a member of Fairfield's Dean's List, earning a major in Accounting and a Minor in Studio Art. Along with coaching for Albany Elite Lacrosse, she also helped coach for Guilderland Youth Lacrosse and Fairfield Youth Lacrosse during her high school and collegiate career. She is also a 200 Hour Certified Yoga Instructor. Iapoce is a graduate of Guilderland High School, in Guilderland, NY, where she was named an Honorable Mention All-American, Academic All-American, MVP, and First Team All Star. She also lettered in soccer. Grace McCann, a 2017 graduate from Wesleyan University, earned NESCAC All-Academic honors and was named to the IWLCA honor roll. McCann was the starting goalie for the Wesleyan University varsity program that won a Little Three Championship and competed in the NCAA Tournament for the first time in program history. At Wesleyan, McCann studied Neuroscience and Behavior. Prior to college, McCann played goalie at Simsbury High School and earned All-Conference honors. McCann now coaches for the Simsbury Youth Lacrosse program and joins the Nor'easter squad for another season! Kim Williams enters her second season at the helm of the women's lacrosse program. In 2015, she became the eighth head coach for the Cardinals over their 40-year varsity history. Prior to her tenure at Wesleyan, Williams served two seasons as head coach at Stockton University in New Jersey, three seasons as an assistant coach at Colby College in Waterville, Maine, and four seasons as a stellar competitor at C.W. Post University in Brookville, N.Y. Bringing the Ospreys at Stockton into their first varsity season in 2014, Williams met with immediate success behind a 16-4 victory over Notre Dame (Md.) in the team's varsity opener. Stockton posted a 10-5 record in 2014 and featured the New Jersey Athletic Conference (NJAC) Rookie of the Year. The Ospreys followed up with a 10-6 mark in 2015 while boasting the NJAC Goaltender of the Year. Williams began her college coaching career with the Mules of Colby from 2011-13, in which the team qualified for the NCAA Division III tournament each year and amassed a brilliant 43-13 overall record, including a 22-7 mark against New England Small College Athletic Conference (NESCAC) rivals. The NESCAC is the top Division III women's lacrosse conference in the nation and had eight teams ranked among the top-20 nationally in the final 2015 Intercollegiate Women's Lacrosse Association (IWLCA) poll, led by NCAA tournament runner-up Trinity College. No other conference had more than three teams in the top-20. Williams played four seasons at C.W. Post, helping Post reach the NCAA Division II tournament each year with one title and three other appearances in the Final Four. She was recognized as an IWLCA All-American three times along with IWLCA Division II Defender of the Year accolades as a sophomore and Womenslacrosse.com Division II Midfielder of the Year recognition as a senior. She also earned first-team all-conference accolades three times. In addition to her on-the-field laurels, Williams was lauded by the IWLCA, the East Coast Conference and the College Sports Information Directors Association (CoSIDA) with academic honors during her college playing days. Jen Fallon, the 2008 Inside Lacrosse Division II National Coach of the Year, enters her 11th season as the head coach of New Haven women’s lacrosse in the spring of 2017. The longest-tenured coach in program history, Fallon is the Chargers’ all-time leader with 123 career wins and a .668 winning percentage (123-61). The 2016 squad earned an NCAA Tournament berth for the third consecutive season. Fallon guided her players to seven All-Conference nominations and seven IWLCA awards. In 2015, the program continued to excel, qualifying for its second consecutive NCAA Tournament appearance as Fallon once against garnered Northeast-10 Conference Coach of the Year accolades. Behind Northeast-10 Conference Coach of the Year honors for Fallon, the 2014 campaign tied a program-record for wins (16) and set a new record with an 11-1 NE-10 slate. The Chargers’ postseason run began with their second appearance in the Northeast-10 Conference Championship Game and finished in their second NCAA Division II quarterfinal appearance. Playing one of the toughest schedules in the nation in 2013, the Chargers finished with a record of 12-7 and climbed as high as No. 8 in the national rankings. In 2012, Fallon was recognized by her peers as the conference’s Coach of the Year for the second time in four seasons as a member of the NE-10. Fallon previously earned NE-10 Coach of the Year laurels in 2009 – New Haven’s first season as a member of the prestigious Division II conference. The 2008 campaign saw Fallon named the Inside Lacrosse Division II National Coach of the Year in her second season at the helm after leading the Chargers to the program’s first-ever winning campaign with a then-program-record 14 victories and just three losses. Fallon, was also named the East Coast Conference Coach of the Year in this season. Fallon took over the Chargers’ program in 2007 and, in her first spring at New Haven, matched the program record with seven victories. Before coming to New Haven, Fallon served as the head girls’ lacrosse coach and physical education teacher at Greens Farms Academy in Westport, CT. Fallon started her coaching career at her alma mater in 1997 as Sacred Heart University’s head women’s soccer coach from 1997-2000. Fallon also served as the school’s assistant compliance coordinator for two years while coaching. As a collegiate lacrosse player, Fallon was a three-time Division II All-America selection (1994-96) and is Sacred Heart’s all-time scoring leader with 264 career points. She scored 212 career goals with 52 assists and, in her All-America seasons, posted three of the school’s top-four single-season point totals. She is 20th on the Division II national career scoring list, and is ninth all-time in goals scored.